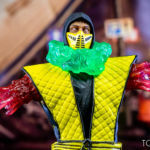 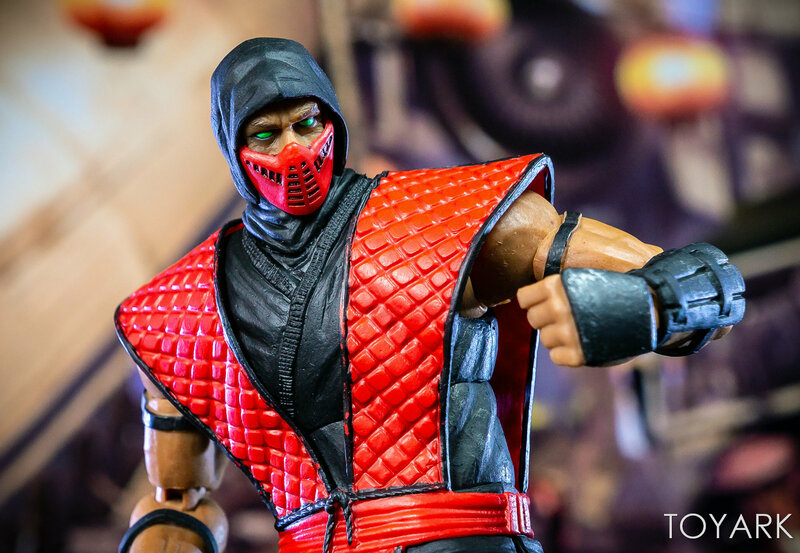 For San Diego Comic-Con 2018, Storm Collectibles and Bluefin teamed up to offer a new variant of the Mortal Kombat 1/12 Scale Ninja Figure. 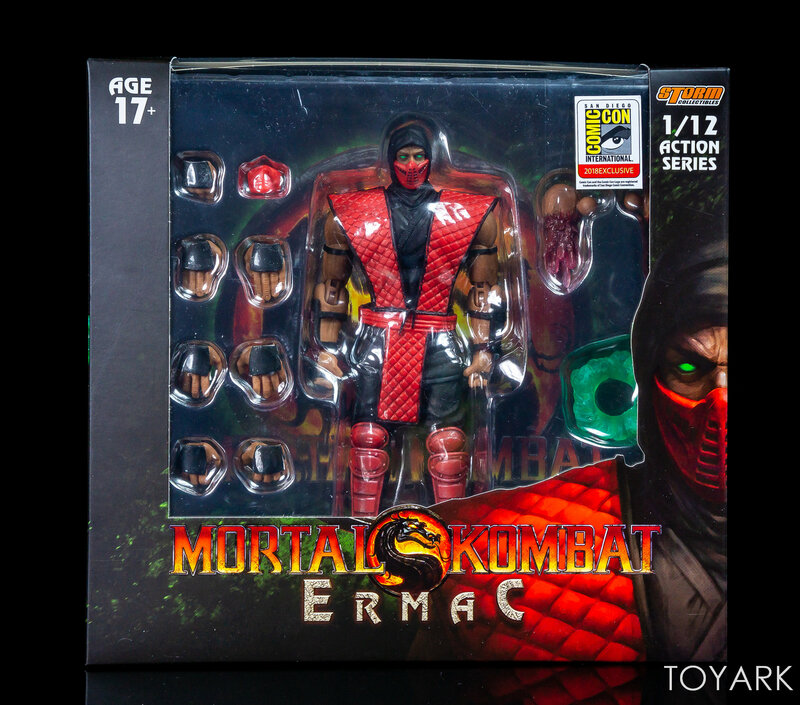 The new figure is a Mortal Kombat 1 & 2 styled Ermac. 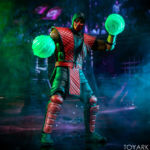 A fusion of many souls, Ermac is initially under the control of Shao Kahn. 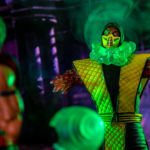 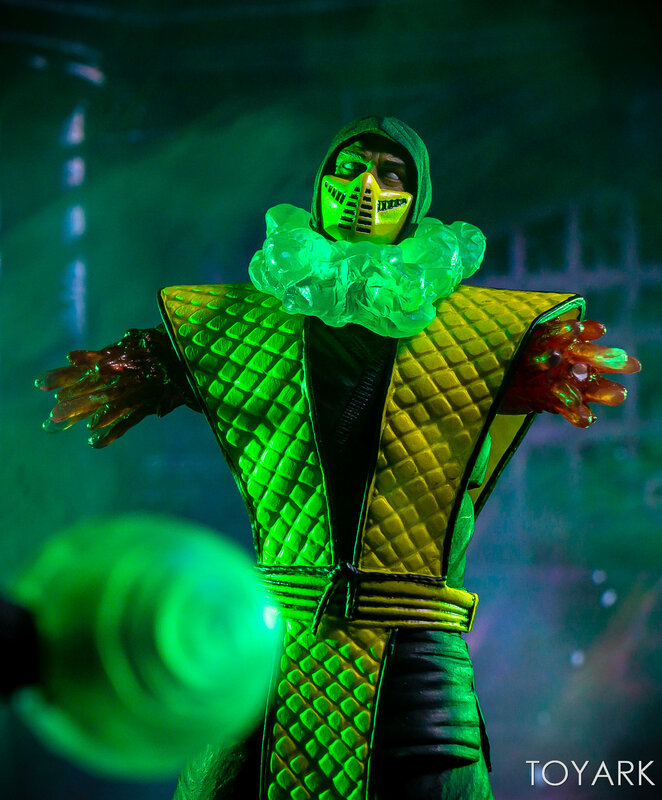 With the death of Shao Kahn in Mortal Kombat (2011), Ermac is freed from his control and aligns himself with Kotal Kahn, the new ruler of Outworld. 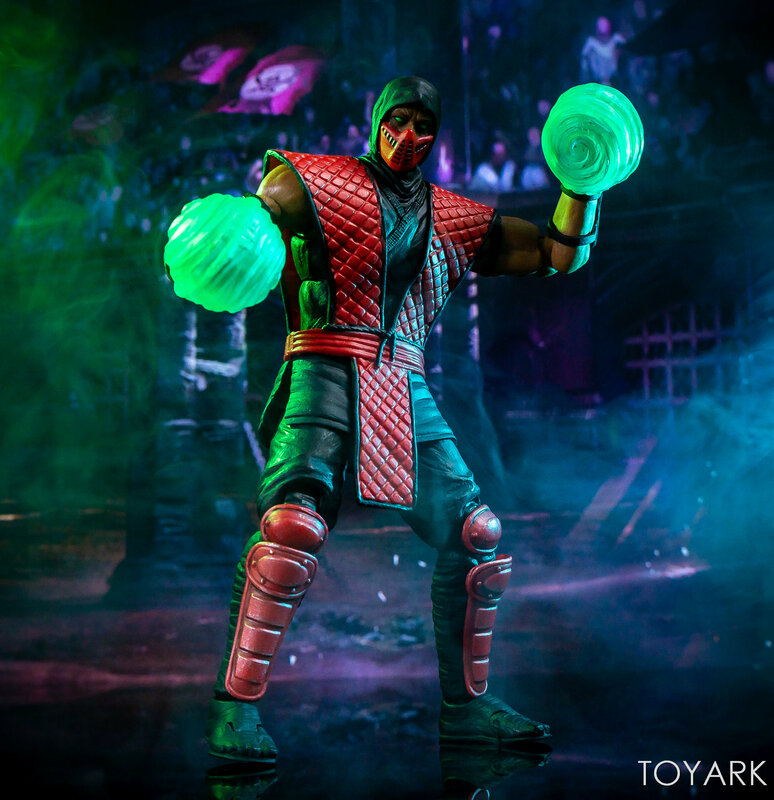 Due to the overwhelming number of souls at his disposal, Ermac has mastered telekinesis and teleportation. 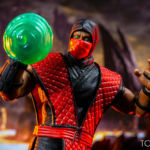 As with all of their Ninja figures, Ermac includes interchangeable masks, swap out hands and character themed effects pieces. 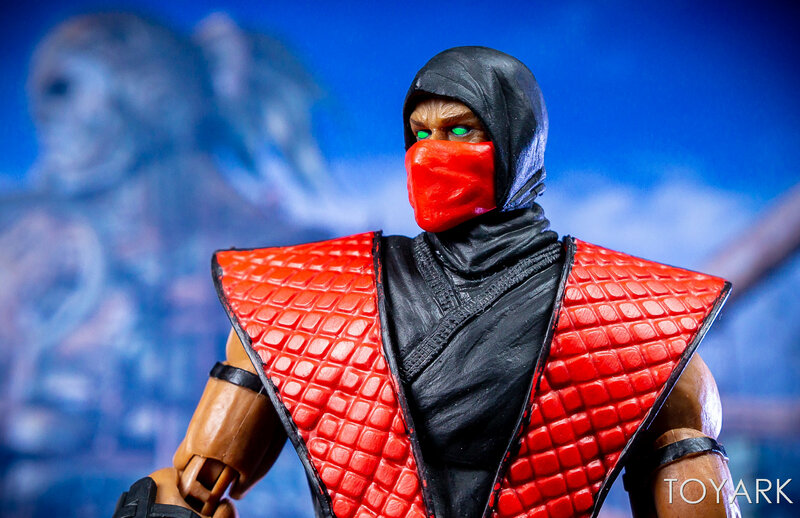 Our friends at Bluefin sent along an Ermac for us to check out. 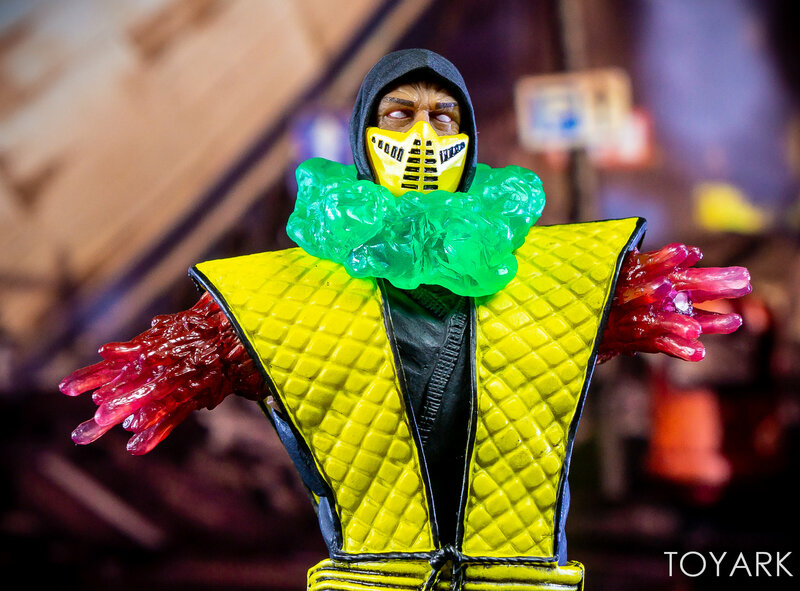 After the jump you can see our thoughts and a full photo gallery. 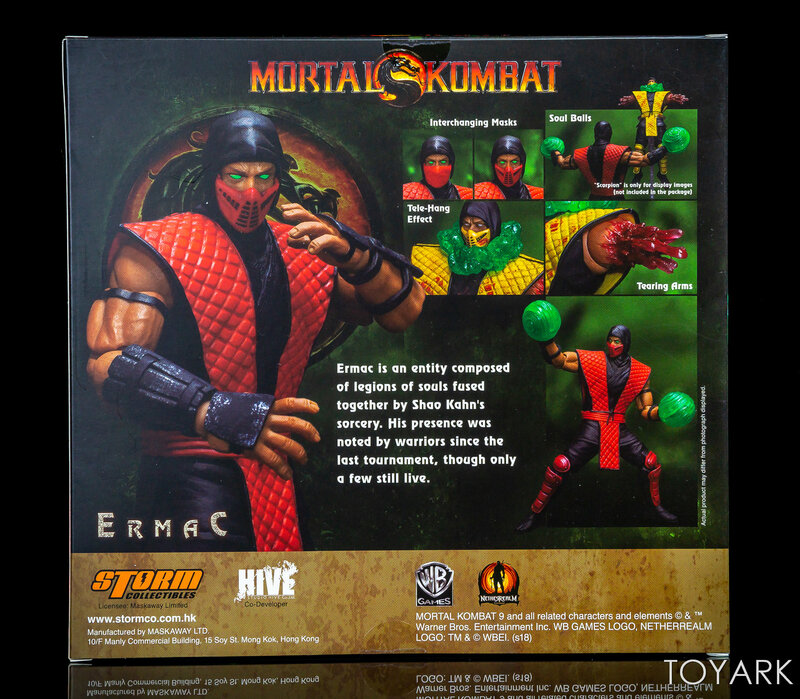 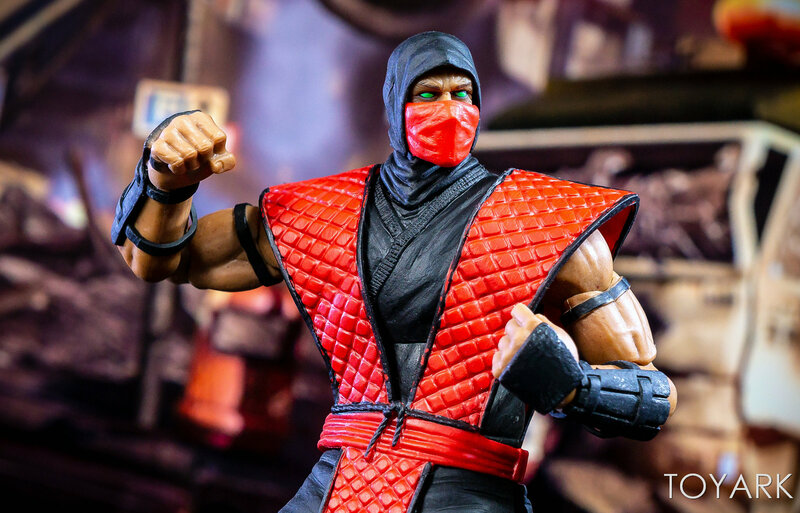 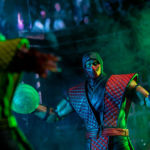 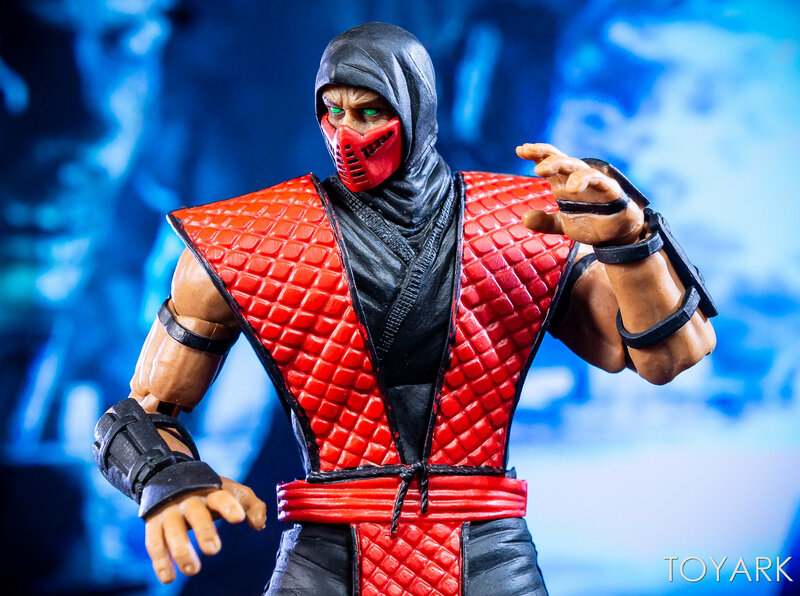 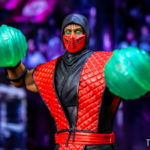 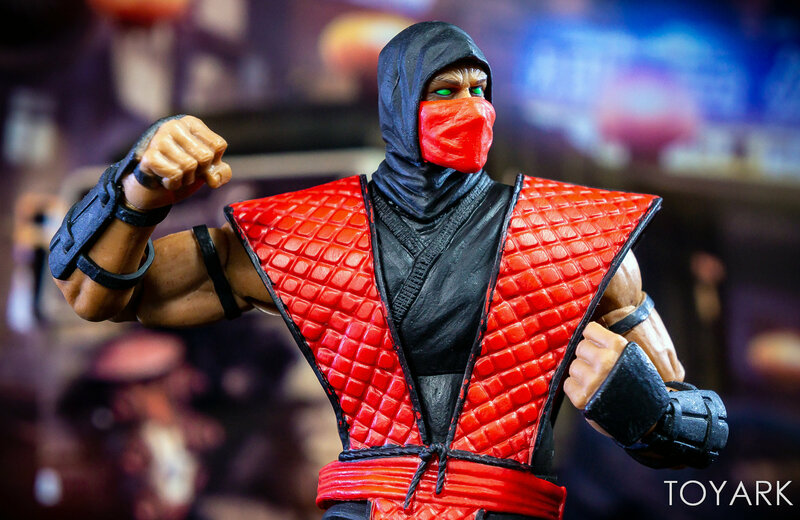 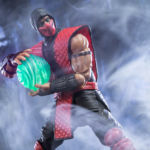 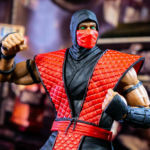 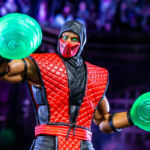 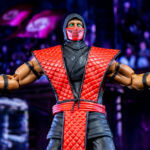 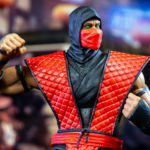 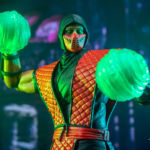 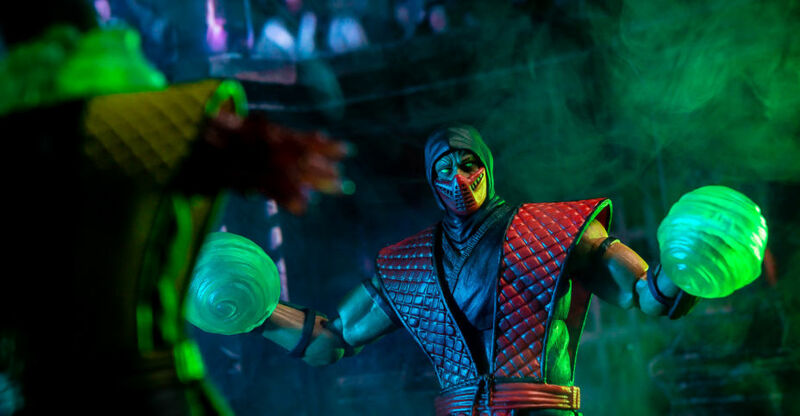 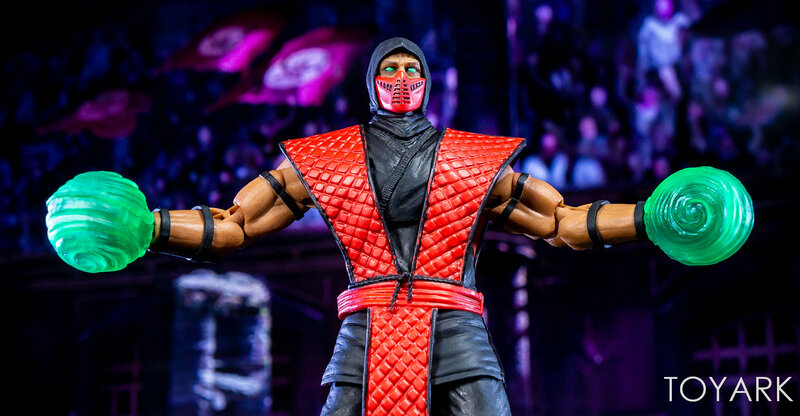 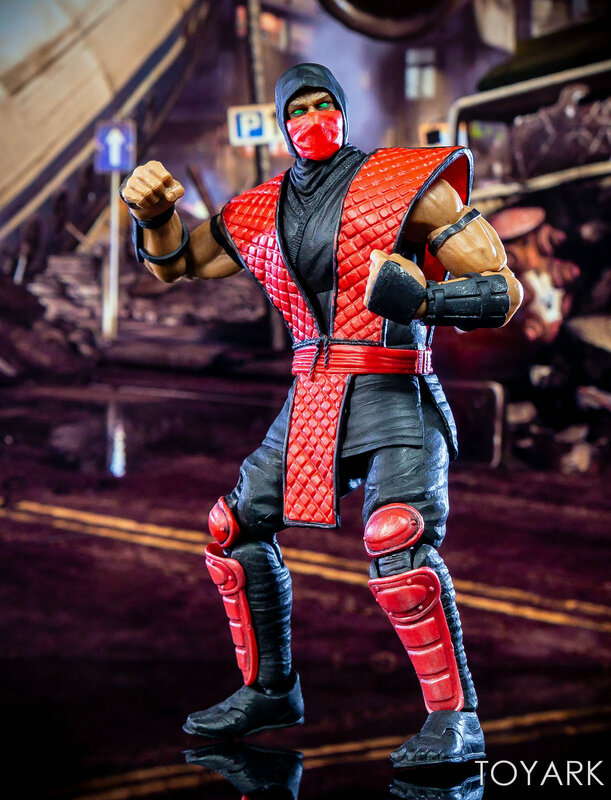 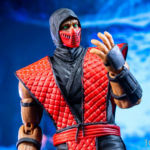 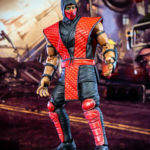 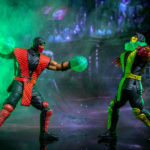 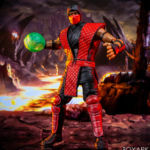 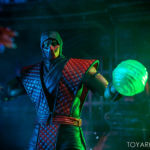 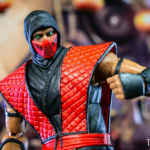 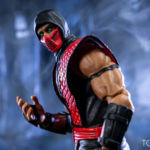 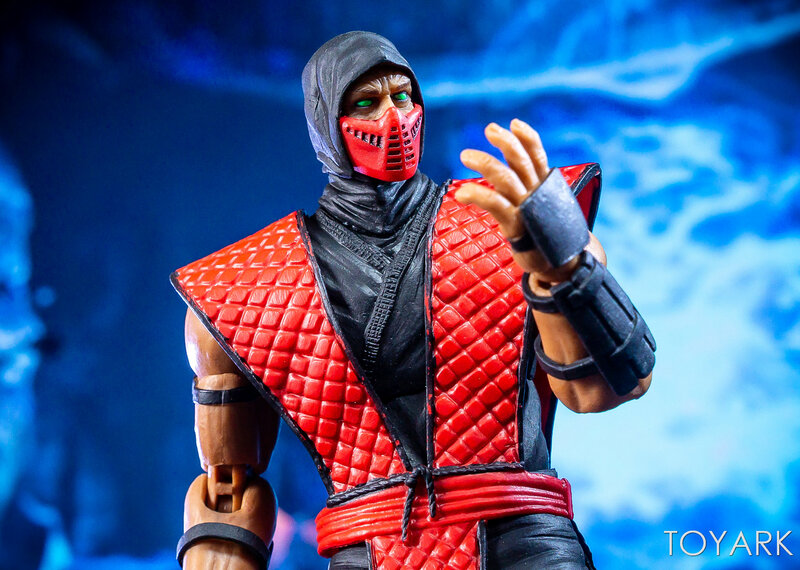 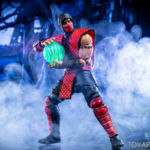 Ermac is the fifth character to utilize the 1/12 scale Ninja body from Storm Collectibles. 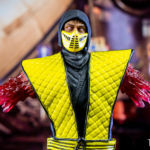 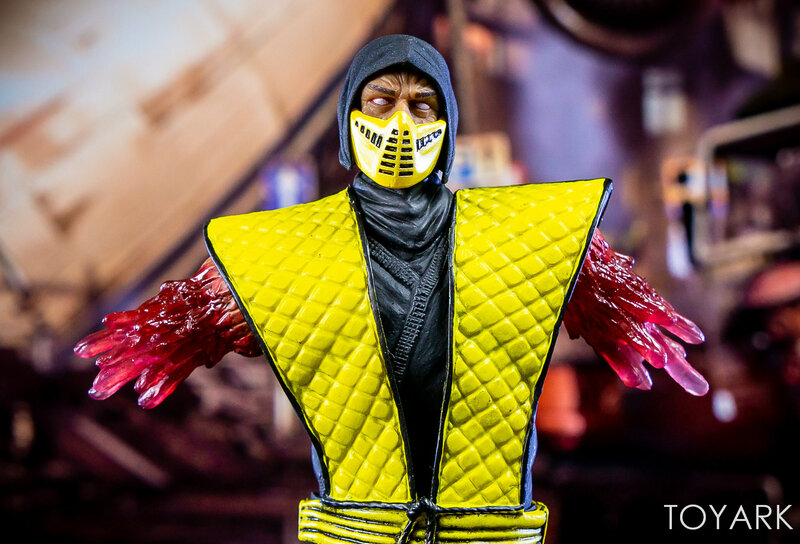 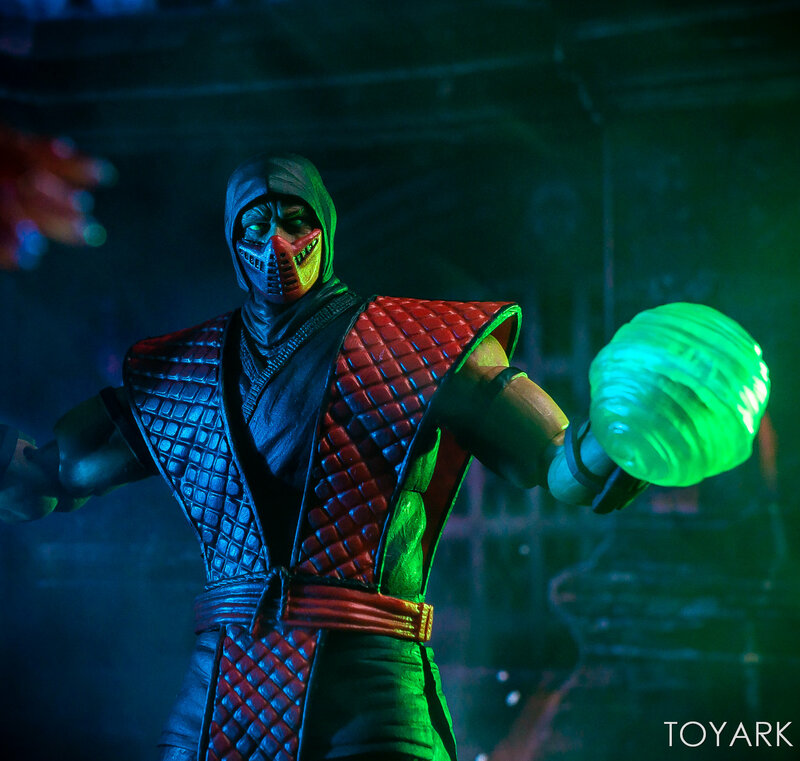 The mold was previously used on Scorpion, Sub-Zero, Noob Saibot, and Reptile. 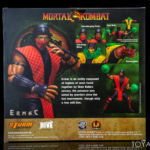 There have also been bloody variants for those. 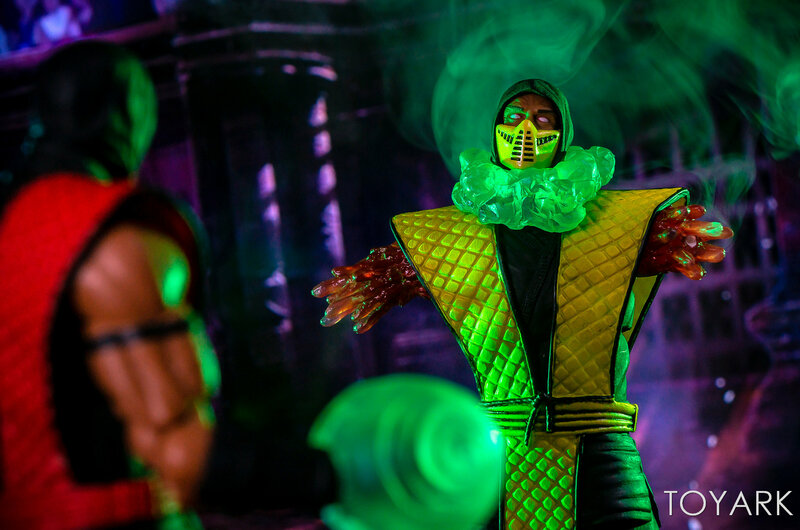 Rain and Smoke versions of the mold have also bee revealed. 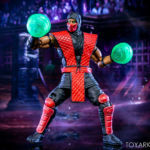 Since this is essentially the same figure as those, I would suggest checking out one my previous reviews for a more detailed overview of the Ninja mold. 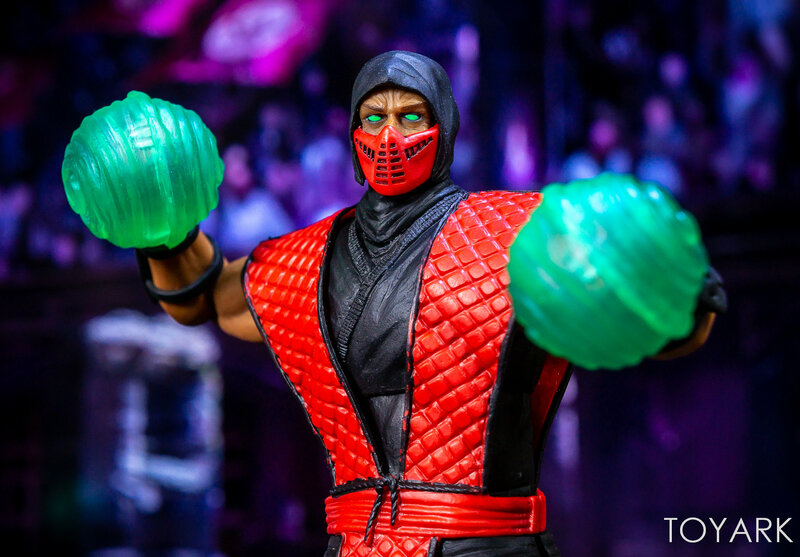 Ermac is just as good as those releases, with the only real issue being some paint bleed on the outfit. 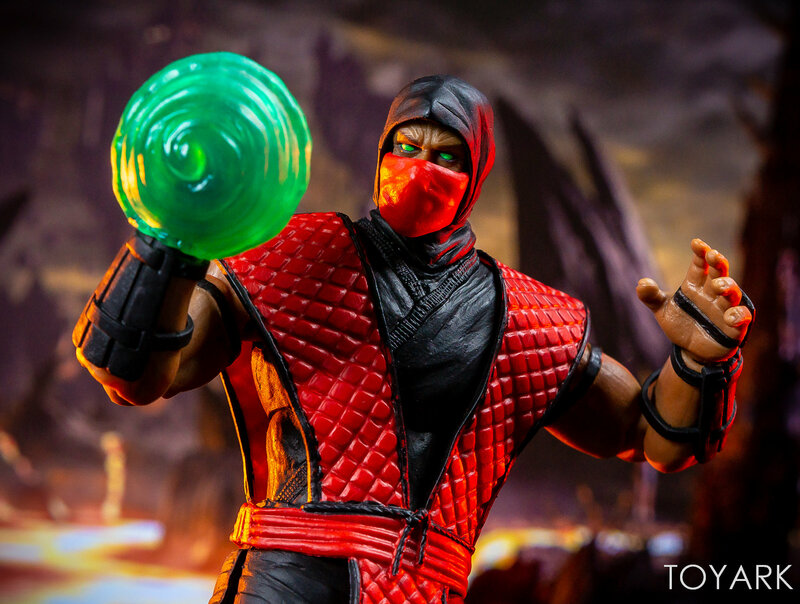 What’s new in this release, aside from the red color scheme, are some effects pieces and new replacement parts. 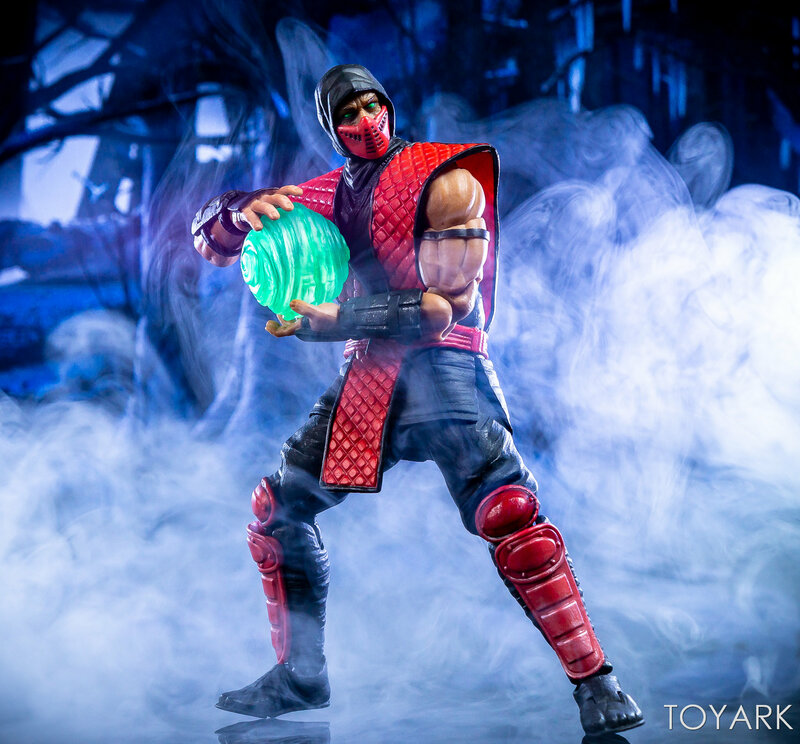 Ermac includes two Soul Balls, a Tele-Hang Effect, and two swap out torn off arms. 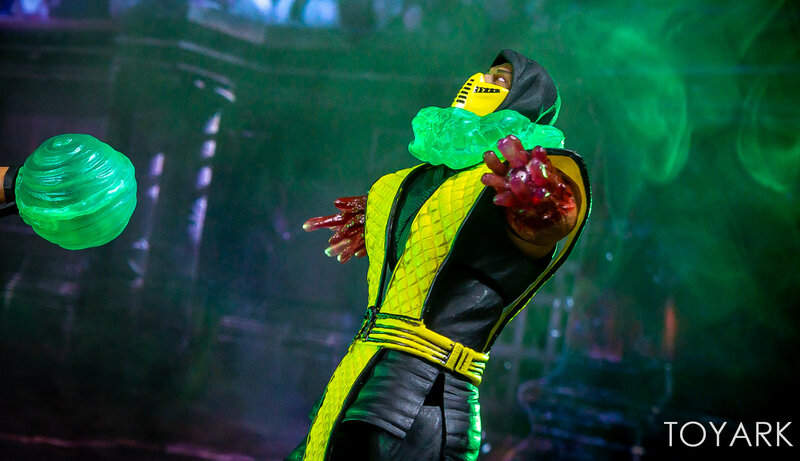 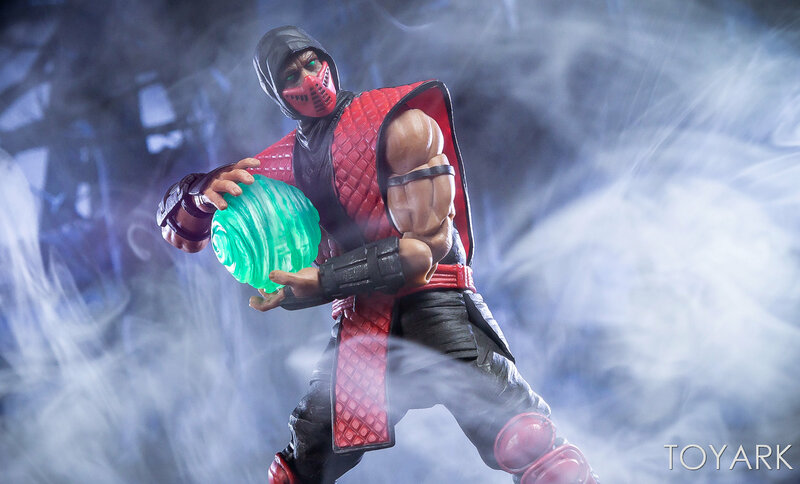 The Soul Balls split on half and fit around the closed fists of Ermac to simulate his telekinetic powers. 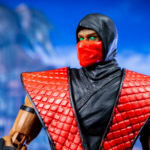 The Tele-Hang piece can be attached to one of their other figures by removing the head sculpt and placing this over the neck and then popping the head back on. 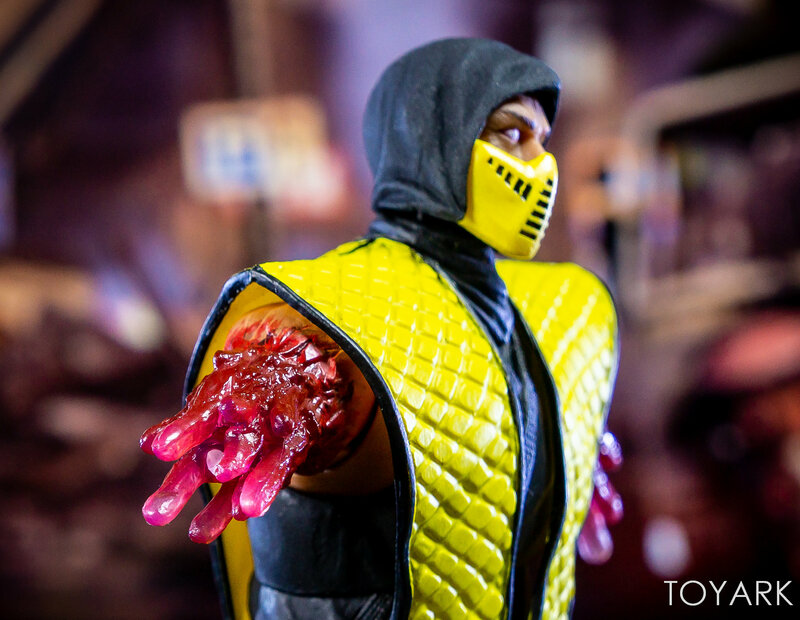 The torn arm effects pieces are the best addition here. 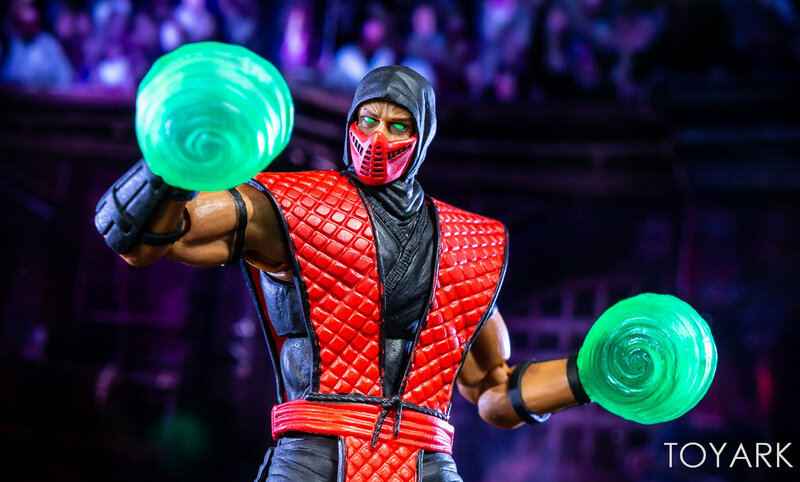 You can pop the arms off any of their Ninja’s and attach these for a gruesome recreation of the games fatalities. 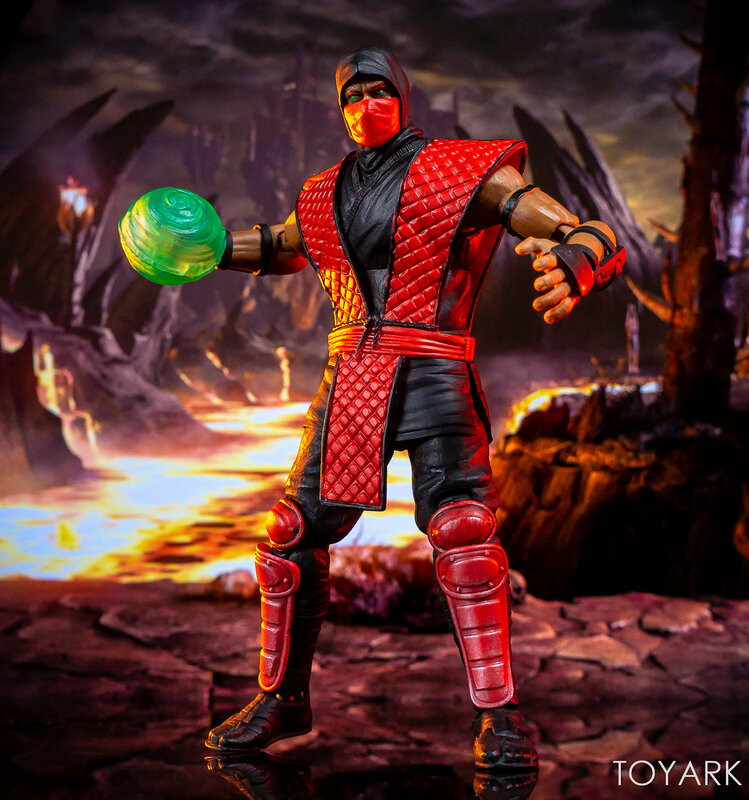 While these could work on the larger figures, the proportions are more suited for the standard size characters. 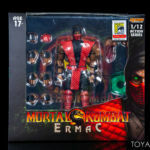 Ermac was a good choice to release as an exclusive. 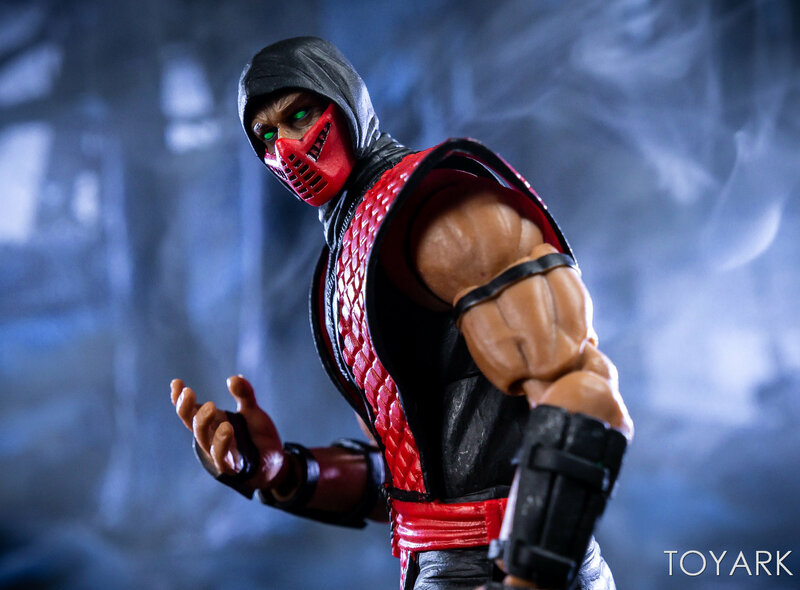 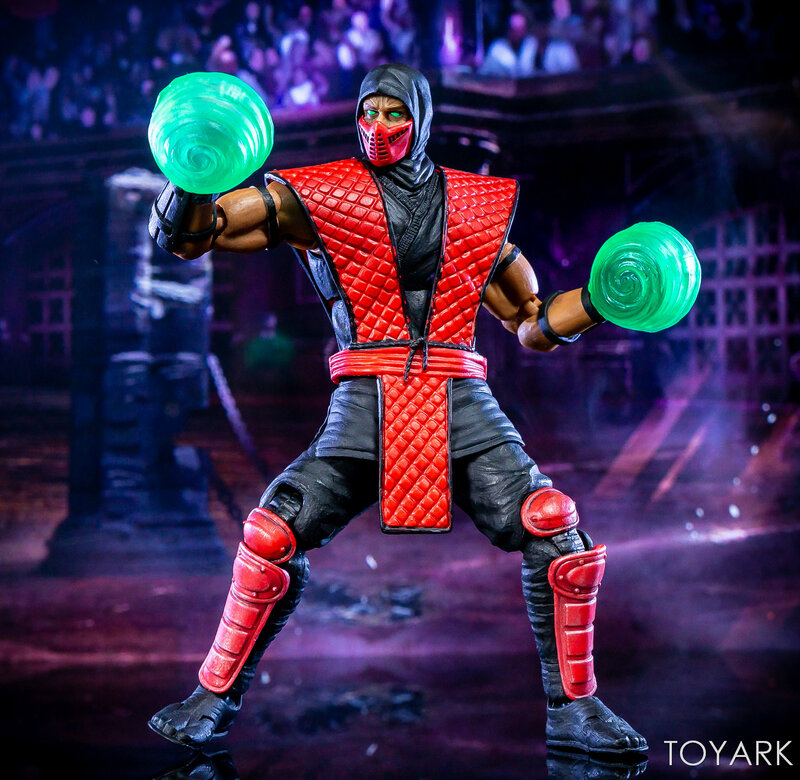 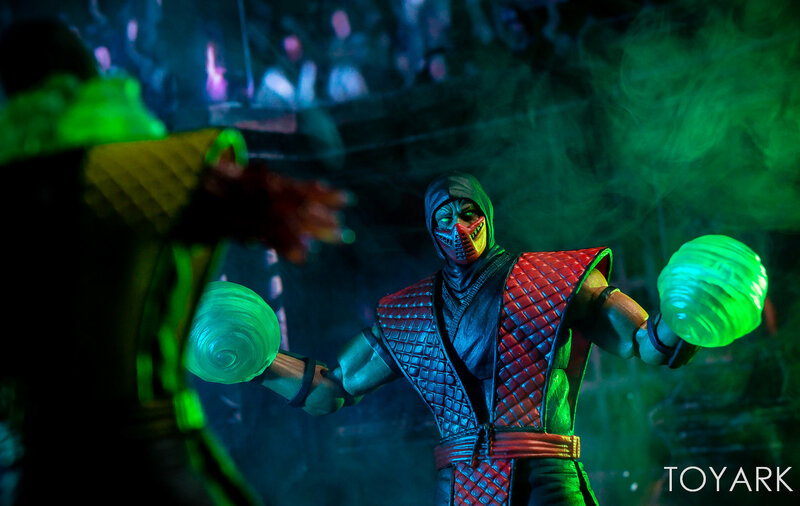 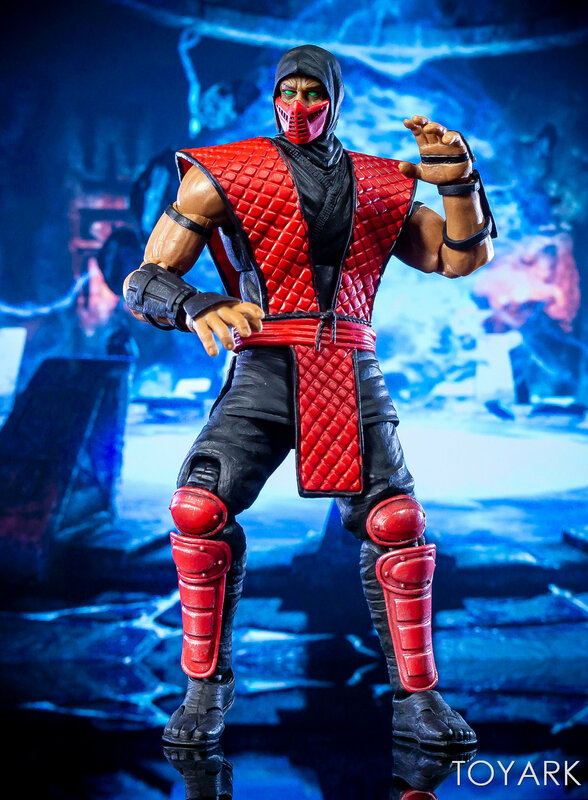 Ermac never appeared in Mortal Kombat 1 or 2, so this makes the figure more of an homage than a straight adaptation. 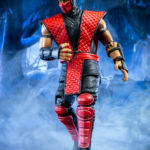 So it would have come down to how much you want a red Ninja in your Mortal Kombat collection and if the new effects pieces are worth the (now aftermarket) price. 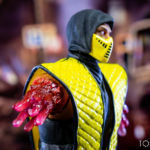 If you can find the figure at a reasonable price, I would personally say the torn arms make this a hard release to pass on. 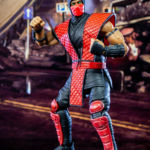 Check out some select images below. 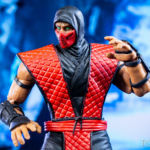 After that, you can see my full gallery. 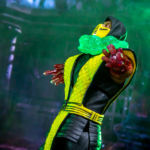 I hate how the various gore effects are exclusive to certain figures. 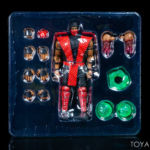 Storm should release a gore accessory pack. 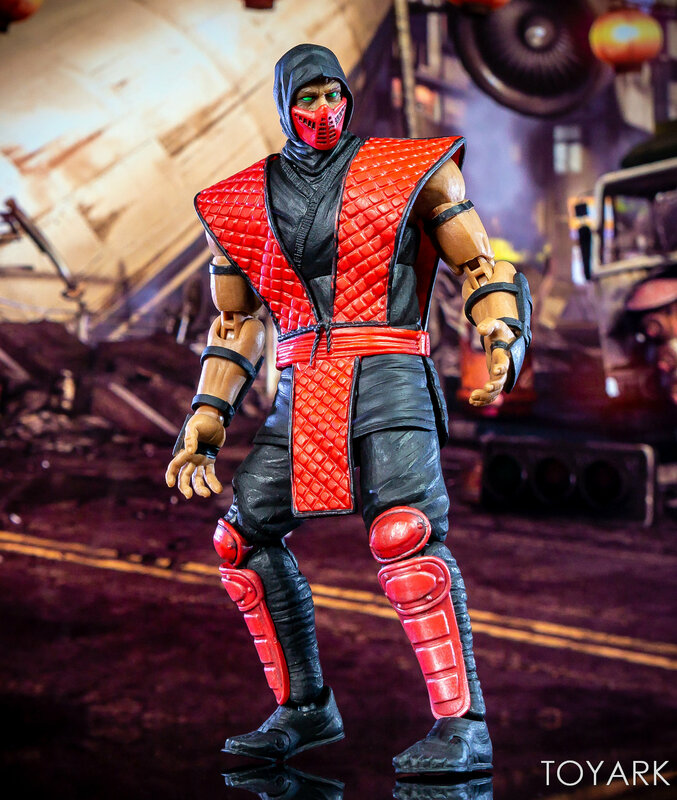 They absolutely should release a pack. 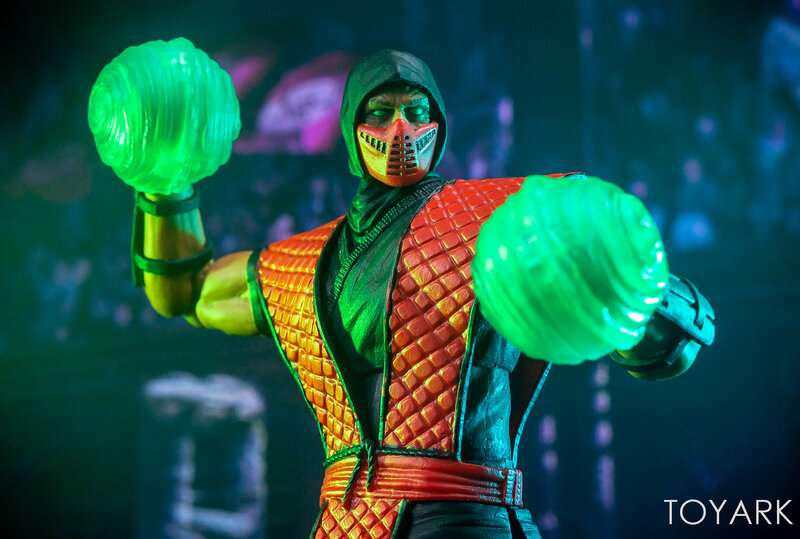 Even at $30 or something like that, it would cost them nothing to make. 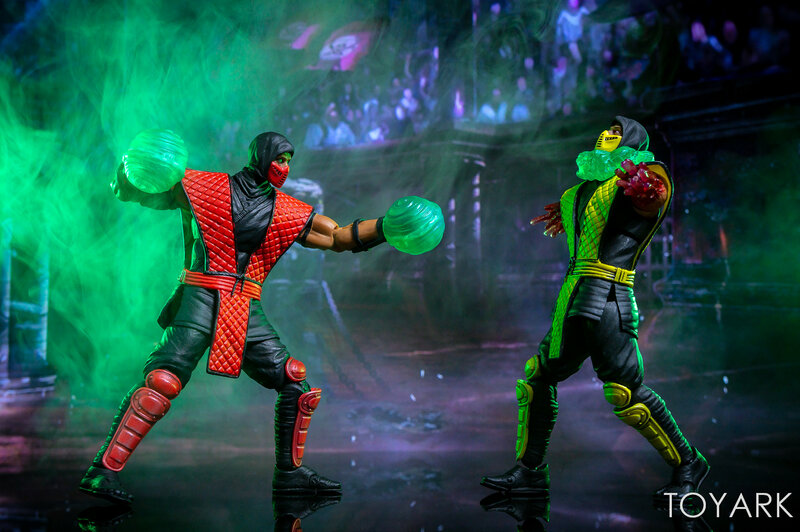 The only reason I bought Noob and Ermac were for the gore effects. 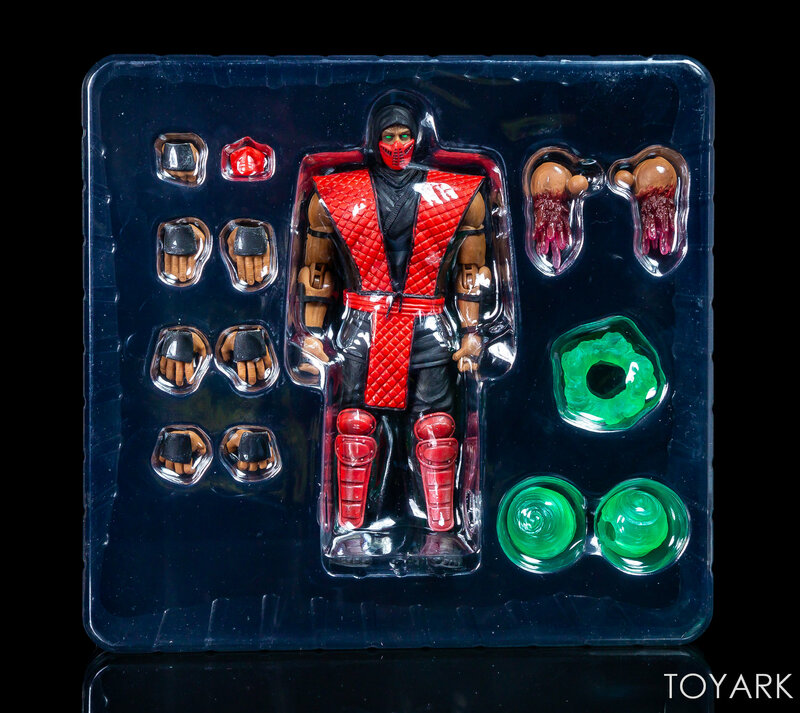 I would absolutely love a gore pack. 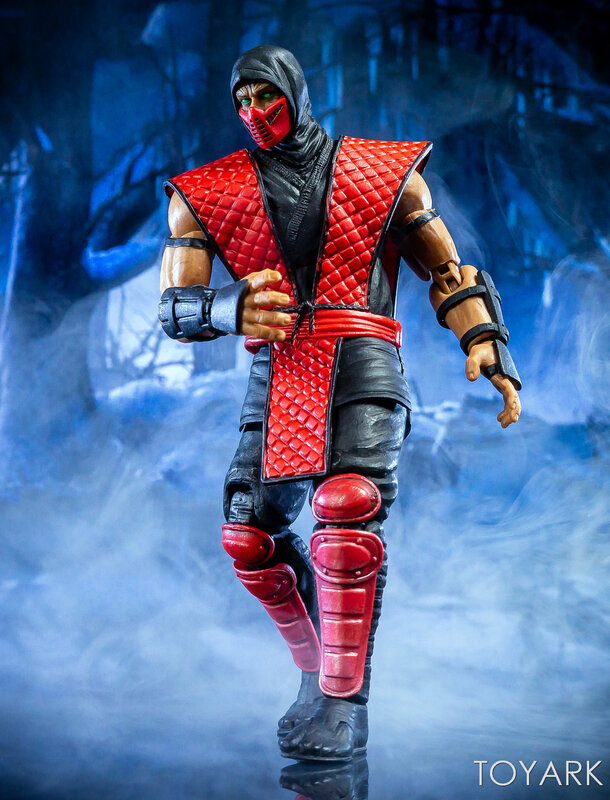 Even if it was just repack of all the previously released pieces. 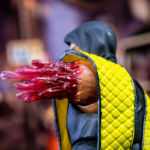 What is a gore pack??? 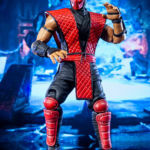 Just a hypothetical collection of the bloody accessories that have been included with a few of the Mortal Kombat figures. 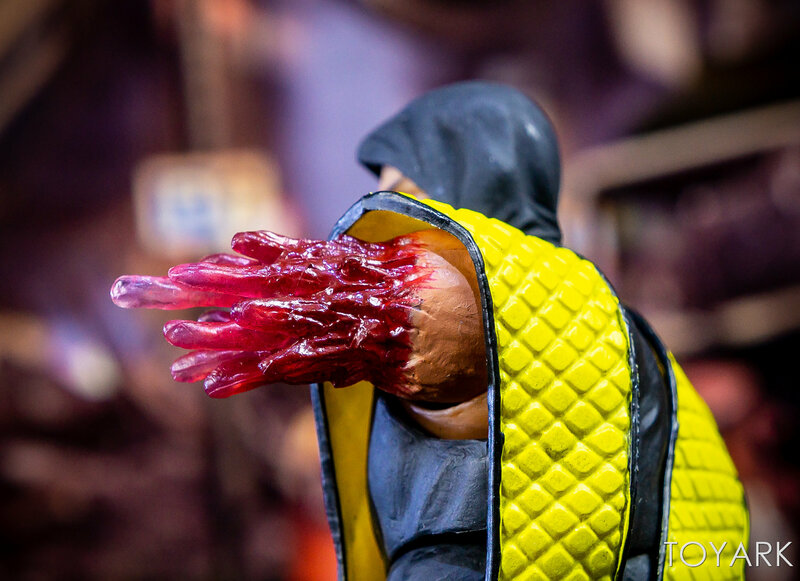 Items like the ripped off arms and the blood spurts.